Moving forward requires a little speed, and three Kansas City executives have teamed up to put the pedal down with Crux-Xcelerate. Rick Kahle, former president of Lockton’s Kansas City Employee Benefits Office, Melea McRae, founder and CEO of Crux KC and former CMO of the KC Chamber, and Dave Johnson, former sales executive at Sprint and YRC Worldwide, launched their new business venture, Crux-Xcelerate, in January 2019. The new business is a sister company to Crux KC, an “un-agency” founded in 2016. McRae started the original company in the hopes of better servicing the marketing needs of small-to-mid-sized businesses. Crux-Xcelerate provides fractional chief sales officer (CSO) services to emerging and small businesses seeking sales leadership, strategy and execution. 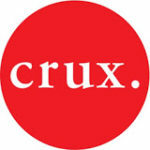 Crux KC merges executive-level marketing and business strategy to provide a simple, smart and affordable marketing solution for clients. After its founding, the company showed a profit by its sixth month of business and experienced a more than 660 percent growth in 2017 over 2016 revenue. Total revenue then grew by more than 40 percent in 2018. Now, McRae hopes to replicate this successful strategy on the sales side with Crux-Xcelerate—along with an option to bundle both sales and marketing services. All three entrepreneurs bring different skill sets – and networks – to the table in a way that complements the others. As co-founder and CEO of Crux-Xcelerate, Johnson brings more than 25 years of experience in sales and business development with startups and Fortune 500 firms to the new venture. He’s built a pipeline and revenue for three startups, successfully getting them to acquisition, and has extensive experience with talent recruitment, building sales teams and strategic partnerships. Upon meeting with McRae and Kahle, Johnson said he instantly saw the value in Crux-Xcelerate. Kahle, a Crux KC investor and advisory board member, also saw a need for a company like Crux-Xcelerate. After working at Lockton for 15 years, he switched gears in 2016 and followed his passion for investing in Kansas City’s entrepreneurial ecosystem. Since then, he’s invested in roughly 15 companies, including Bardavon and SLCKET, and has become active in early-stage capital markets – connecting companies with financial sources that align with their stage and industry – including Firebrand Ventures, iiM, and KC Rise Fund. “We are intentional about finding the right companies we can help to scale and grow their revenues,” Kahle said. “Between the three of us, we have more than 80 years of creating successful outcomes. The new model has also attracted the attention of local venture capital firms, which look for startups taking the necessary steps and making smart investments toward future success.